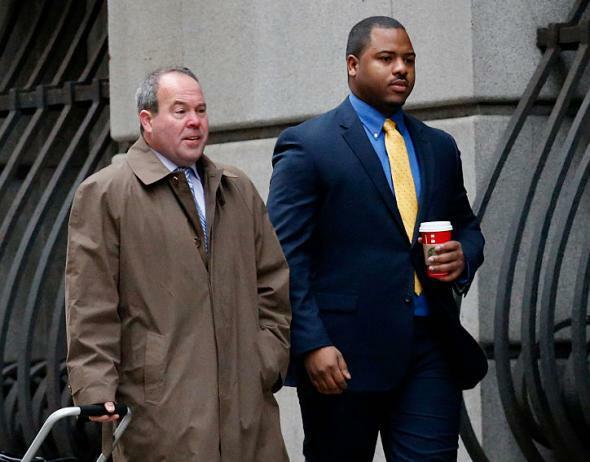 Freddie Gray trials, Baltimore: Black police officer William Porter accused. William Porter and his attorney Joseph Murtha in Baltimore on Nov. 30, 2015. An officer since 2012, Porter is charged with involuntary manslaughter, assault, reckless endangerment, and misconduct in office. Lawyers for Porter argue that he was trained hastily by a disorganized police department and that he should not be expected to have been fully aware of seat belt rules or to have understood the seriousness of Gray’s injuries. The trial’s judge said he expects proceedings to extend no later than Dec. 17.